This area was built up over a long period, from the 1930s to the 1960s. The date each street was named is given below. Much of the development to the east of Silverknowes Road was private housing constructed by McTaggart & Mickel, with the area to the west of Silverknowes Road being built by Edinburgh Corporation. The name appears to be derived from the former Silverknowes Farm, which occupied the area previously and can be seen on the 1933 street map. Also nearby was Silverknowe, (without a final ‘s’) a large house that has now been demolished. The name is thought to have been derived from the silvery appearance of grasses on the knowes or hillocks in the area. As you can see from the 1940 street map and the 1952 street map, the streets to the west of Silverknowes Road were built first, with the remainder following in the 1950s and 1960s. 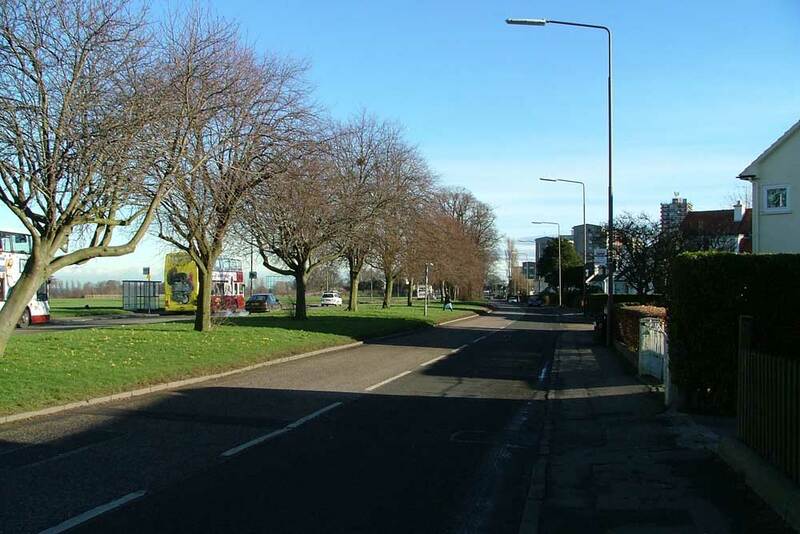 Silverknowes Road East was presumably formed to give better access avoiding an awkward T-junction where Silverknowes Road met Main Street, Davidson’s Mains. This part of Silverknowes Road, which included a bridge over the Caledonian Railway branch to Barnton, is now closed to vehicles. This street was named on 29 March 1956. It provided a route near the sea, where previously there had been no road access. It also gave improved access to Broomfield (later the Commodore Hotel and the Backpackers’ Hostel) and Muirfield, two large houses in the area. This street was named on 15 March 1934. This street was named on 27 November 1955. This street was named on 10 March 1960. This street was named on 20 August 1952. This street was named on 10 December 1970. This street was named on 28 May 1953. It was later extended eastwards to include new properties built on the site of the former Silverknowes Primary School. This street was named on 28 May 1953. This street was named on 9 June 1966. Unlike the other streets listed on this page, it is on the south side of Ferry Road, forming a cul-de-sac between the road and the former railway. This street was named on 28 January 1954. This street was named on 15 March 1934. It was not a completely new road, as it was partly formed by improving an existing route connecting Ferry Road with Silverknowes Farm. This street was named on 6 March 1924. This street was named on 20 September 1934.